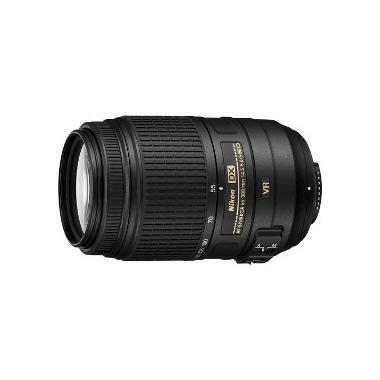 The Nikon 55-300mm f/4.5-5.6G ED AF-S DX VR Lens is a telephoto zoom designed specifically for crop sensor cameras. The Silent Wave Motor provides fast and near-silent autofocus performance while built-in Vibration Reduction helps minimize the appearance of camera shake by up to three stops when shooting handheld in low light. This lens is ideal for wildlife, sports, and events. • This is a DX format lens, which is compatible with crop frame/APS-C sensor cameras only. It is not recommended for full frame sensor cameras unless they have a crop mode.